Good news to our newcomers! Post subject: Good news to our newcomers! 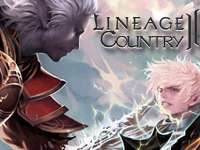 It is not a secret that L2-Country is known for it's welcoming community, however, since this is No-Wipe server a lot of new players hesitate to join us because of the gap between old players and new players. They say that it is hard to catch up - we say, cut the crap and join us since we have prepared quite a surprise for you! * Free of charge Autoloot system till you reach 76th level. * Full Vitality till you reach 76th level. * Enhanced newbie buffs till you reach 76th level. * A horse to make your travels faster (30 days). Anyway, join us now, there are no reasons not to.